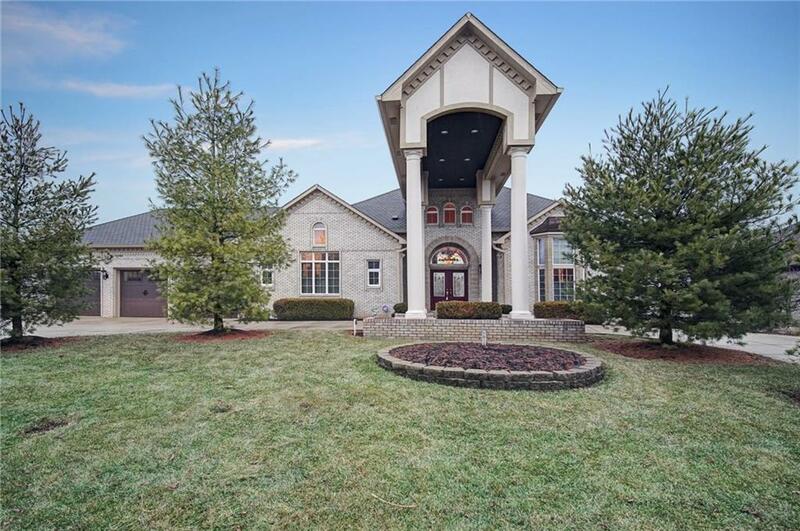 5 BR's with a Pond View is a A MUST SEE! Elegant in every way, Majestic Columns throughout Main Living Area, Gourmet Kitchen features an Island with a Jenn Air Grill, PLUS a complete assortment of Frigidaire Cooking Appliances (Electrolux Gas 4 Burner Stove Top & Stacked Double Ovens). MB on the Main along with another BR. Lower level has a separate entry, 3 BR's & a Full Bath, also includes a Theatre Room, W/Chairs, Wet Bar, Temp Controlled Wine Cellar, Optional Office, Exercise Room, 10â ceilings with Crown molding, & an area to Entertain. Includes a Sound System Inside & Out and a BUILT IN POOL!. Many upgrades, All the Bathrooms have been remodeled, Back windows replaced W/Anderson Windows, 3 Car Garage with Newer Doors, & much more.